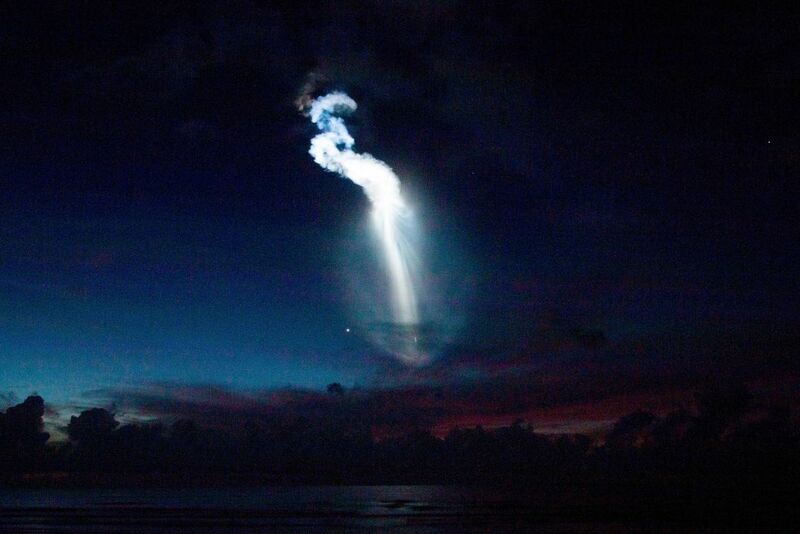 An Atlas V rocket launches over the Atlantic Ocean in the early morning hours as seen from Cocoa Beach, FL. It was a normal launch until the rocket reached higher altitudes and crystals formed from the water vapor in the exhaust creating this phenomenal contrail. The sun, just below the horizon, vividly lights up the trail as the rocket soars east and upward. Date Uploaded: Sept. 6, 2015, 10:55 a.m.